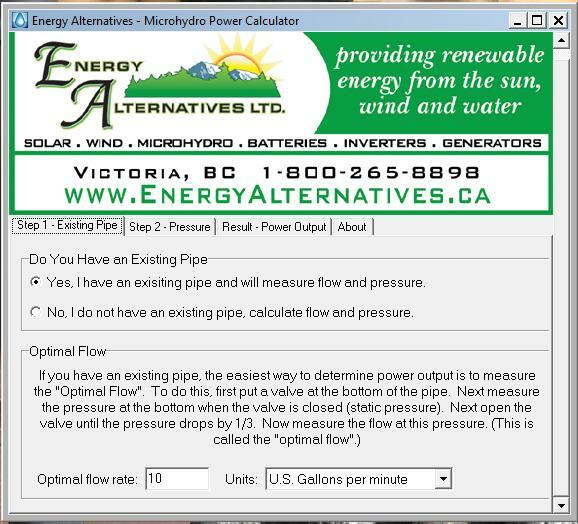 This entry covers a couple nice micro-hydro projects as well as a good calculator for estimating micro-hydro system output. 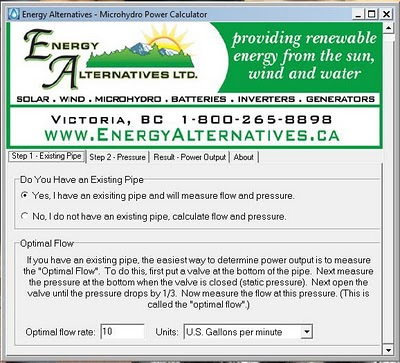 This is a nice and easy to use calculator that provides both power output and optimal pipe size for a given vertical drop, flow rate and pipe length. This calculator has a good deal more capability than most of the small hydro system calculator, but is still very easy to use. The calculator is a small program that you download and run on your own computer. 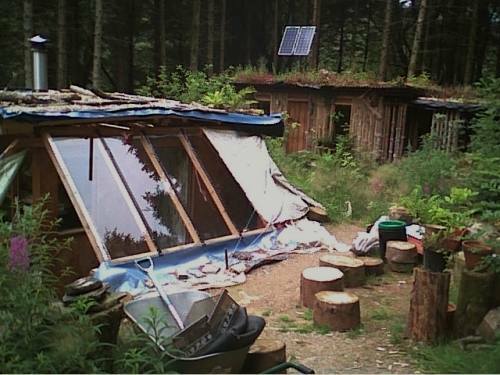 Judy is a very self-reliant person who lives on her own homestead in Wales. Her website has a wealth of information on living a simple and self-reliant life. 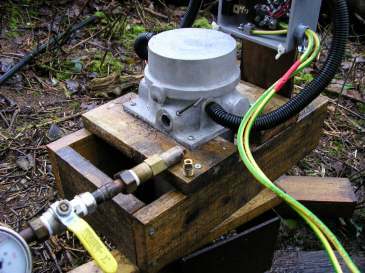 Anyway, Judy has managed to combine the output from a few springs and route them downhill several hundred feet to a small hydro generator. 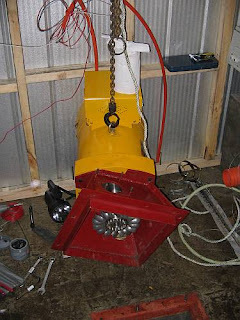 This is a detailed description of a relatively large micro-hydro system in Chile. 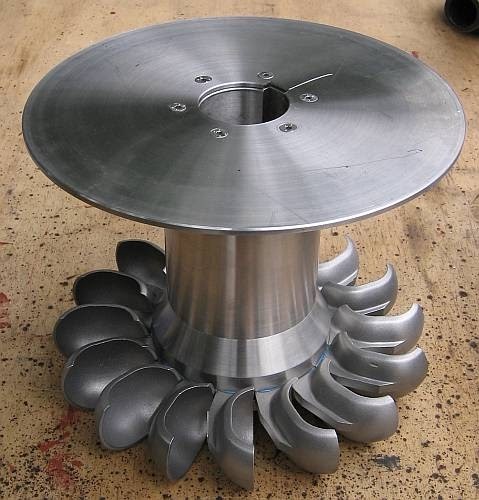 The system uses a long run of 6 inch PVC pipe to run a Turgo wheel turbine that drives an about 4KW synchronous brushless AC generator. 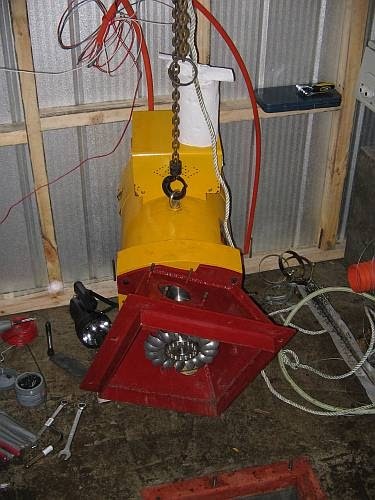 The synchronous generator with runner attached.